The picnic shelter was built in 2008 with funds raised by the camp and church community, and has been well loved by campers of all ages. Eating meals, face painting and worshipping are just some of the activities that took place in the shelter, which provided refuge from bugs and bad weather. CwM decided to keep the building in memory of the love and energy that supporters poured into Moose Lake. 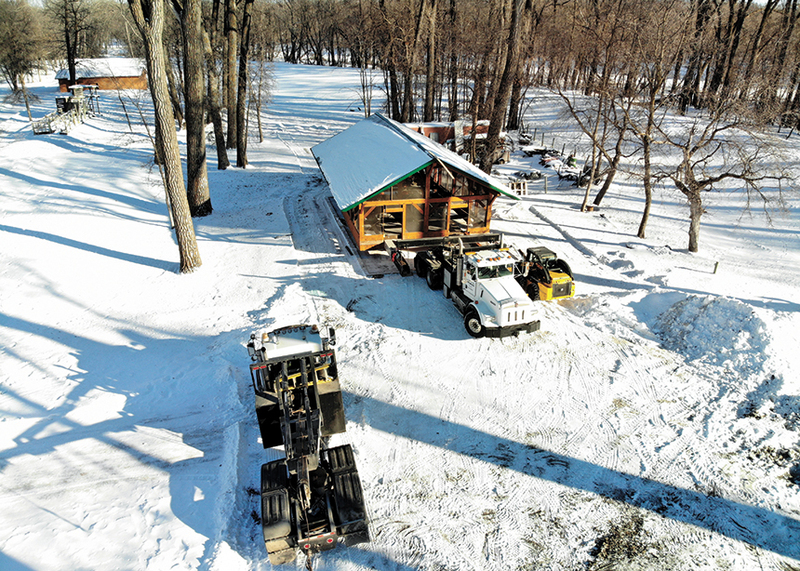 With the financial support of a donor from the Steinbach area, CwM was able to move the structure to its new home among the cottonwood trees at Camp Assiniboia, where it will serve the camp community there for many years to come. A dedication will take place this spring, the date still to be announced.